In this class, you will learn the technical skills to develop paintings with beautiful and convincing space. 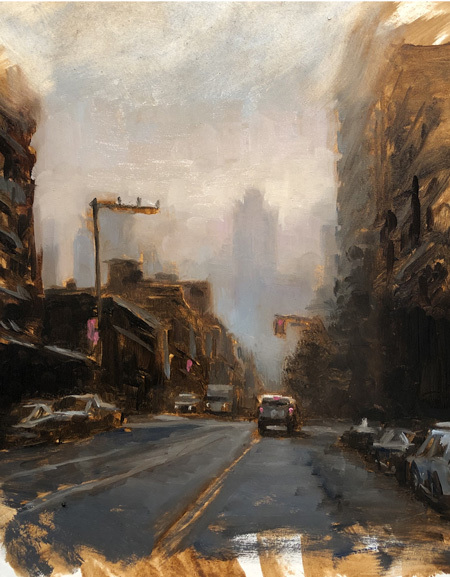 You can choose to paint natural or urban landscapes and will explore new possibilities for self-expression in any daytime or nocturnal scene you choose to create. You can bring your own photographic sources, or choose from our selection of photographs of natural and urban landscapes, as well as master copies. This class also includes a 3-hour demonstration once per month, in which a painting is created from start to finish, with the instructor explaining the process step-by-step. Each class is supplemented with individual and group feedback, lectures and suggested homework.